Professional drivers will give comfort driving based on customers’ needs and requests. 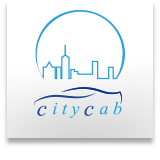 We can also provide services in English including pick-up and drop-off at the airport, golf club, and sightseeing. We will drive you around Japan for your business trip or personal travel.